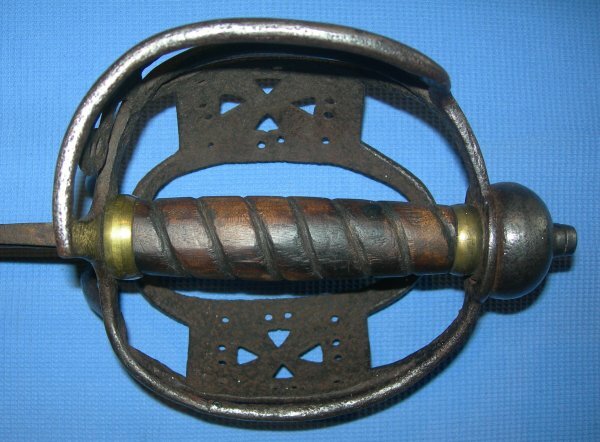 In very good order for its age, a rare 1760 pattern English three quarter basket cavalry backsword. 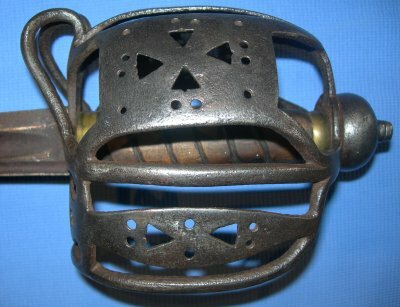 A lovely 3/4 basket hilted English backsword with feint blade markings (S Harvey Hunting Dog or Passau Wolf), the omitted quarter of the basket being on the holder's inner left and therefore not a critical protection area but the extra space provided by this allowing for the sword to be wielded much more easily. 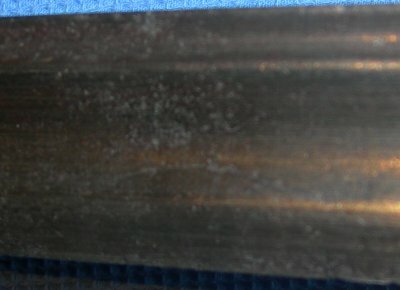 The 35 1/4 inch blade has some sympathetic professional repair work to the lower third, basically a few rust holes have been well welded, but otherwise in good original condition and firm in the hilt. 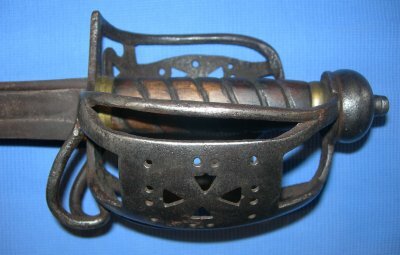 The 3/4 hilt is lovely and in very good order. The wooden grip and ferrules are later replacements, the original grip and turks head ferrules obviously having perished over the many years. 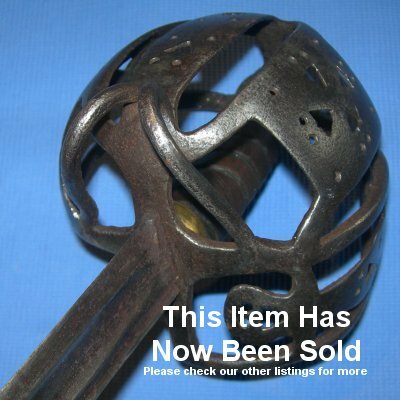 This is a highly impressive and good to hold sword in well above average condition. We have no doubt it will be worth more than our price of £? (too late, now sold) in no time at all. Further / full sized images available upon request. Our reference is 885 (401).